Performing their favorites in Bluegrass, Western Swing, Irish, and original tunes, Jug Tucker gets toes tapping from the coast to the mountains. 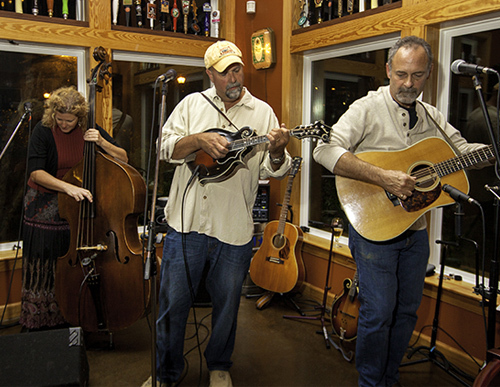 The band entertains tourists and locals all summer at many Outer Banks venues and restaurants. Off-season, you might find them pickin tunes at weddings, festivals, and wineries, all the way to California. Asheville, NC is where Mark and Sherri love to get their “bluegrass batteries re-charged”. With their vintage Shasta camper and instruments, they head west to get more inspiration performing with friends and fellow musicians. This year at Parkfield, Jug Tucker will be joined by friends John “Corn” Cornatzer from NC on banjo and local favorite Ryan McKinley from Arroyo Grande on fiddle. 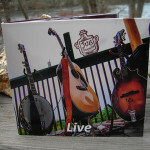 With two CD’s already released, Jug Tucker has plans for a 3rd of all original music. Wherever they travel, their love of traditional music is displayed in the smiles of all “Jug Heads” within earshot.